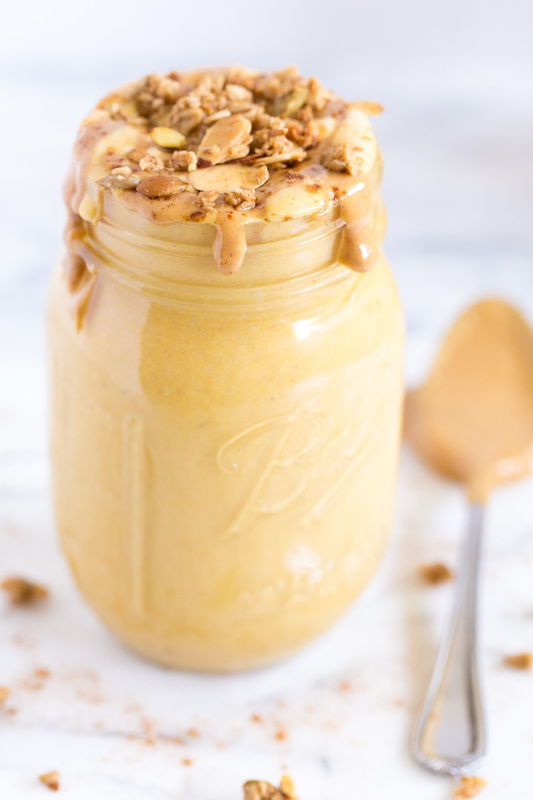 Peanut Butter Pumpkin Spice Protein Smoothie – the name says it all! 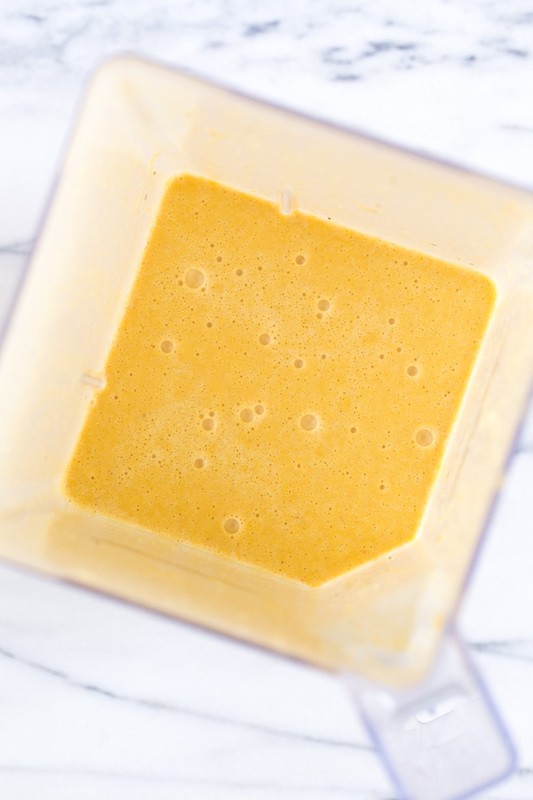 A creamy smoothie with REAL pumpkin and over 20 grams of protein per serving! Happy pumpkin flavored everything season!! I mean, fall. Happy fall! Since today is the official first day of fall AND Friday (TGIF! 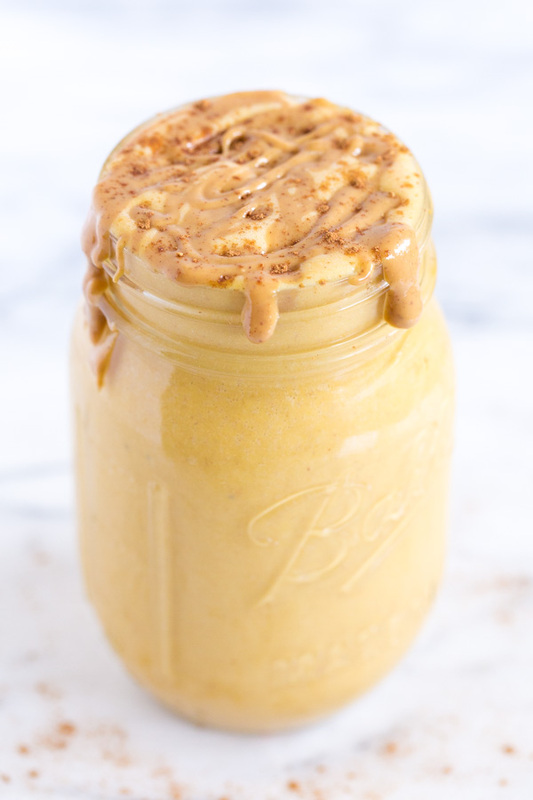 ), what better way to celebrate than with a pumpkin smoothie that tastes like a milkshake?! Even better? 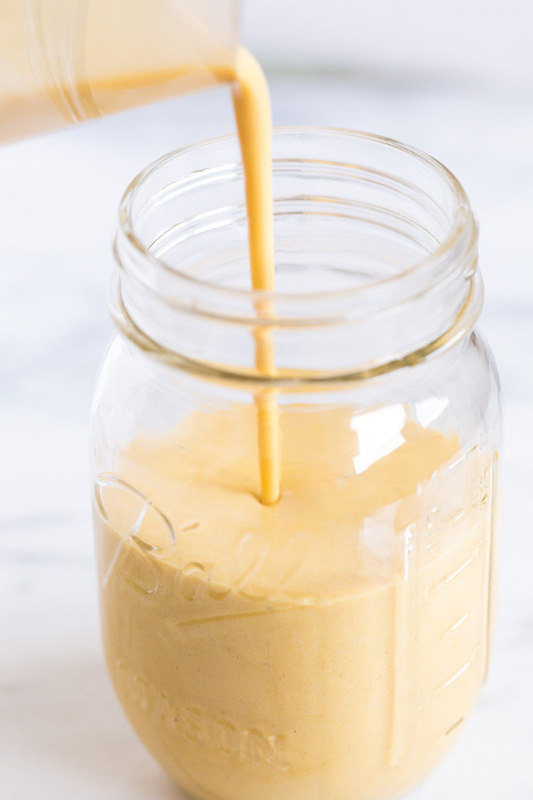 This Peanut Butter Pumpkin Spice Protein Smoothie has lots of protein (talking over 20 grams of protein per serving!) and healthy fats (peanut butter, love you forever) to keep ya feeling full. 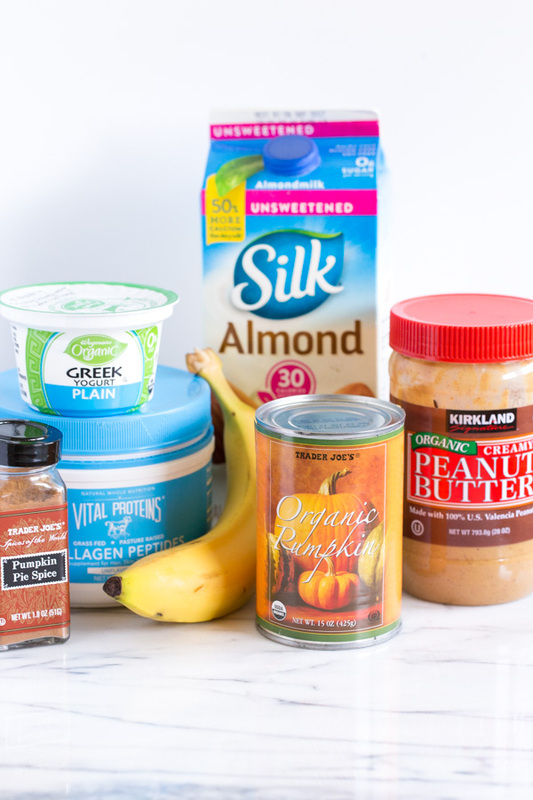 The 7-ingredient line up includes milk of choice (I prefer unsweetened almond or cashew milk, banana, pumpkin puree, peanut butter, greek yogurt, collagen, and pumpkin pie spice. And you get this super pretty pumpkin hued smoothie! And check out the creamy texture! Greek yogurt and frozen bananas add the dreamiest milkshake consistency to smoothies. You could throw in a regular, room temp banana, but I highly recommend using frozen. 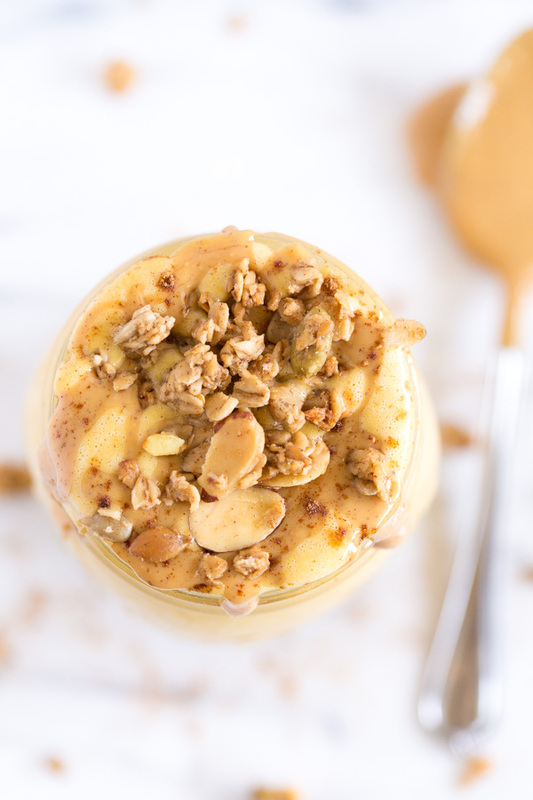 I topped my smoothie with extra peanut butter, pumpkin pie spice, and pumpkin spice granola (my favorite is Michele’s). Toppings are optional, but always recommended. I hope you give this recipe a try, and if you do, be sure to share on social media and tag #heartandstoverecipes so I can see your creations! Place almond milk, pumpkin, yogurt, banana, pumpkin pie spice, peanut butter, and collagen in a blender. Blend on medium speed about 30 seconds. Transfer to a glass and top with additional peanut butter, pumpkin pie spice, and granola, if desired. Enjoy!